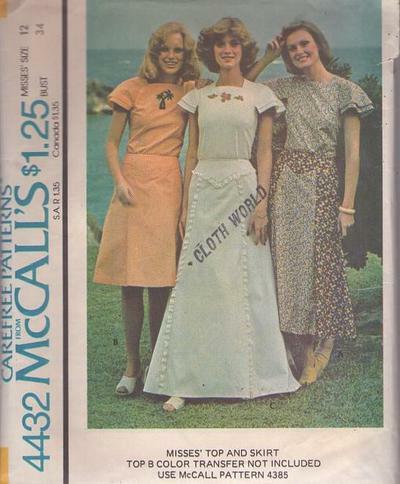 1975, 70s Boho, Retro Bridal Clothing Patterns - Top has back zipper, and double raglan sleeves with shoulder darts. Top B may have a color transfer. Top C may have purchased appliques. Yoked skirt in three lengths has back zipper. Long skirt C has ruffling.